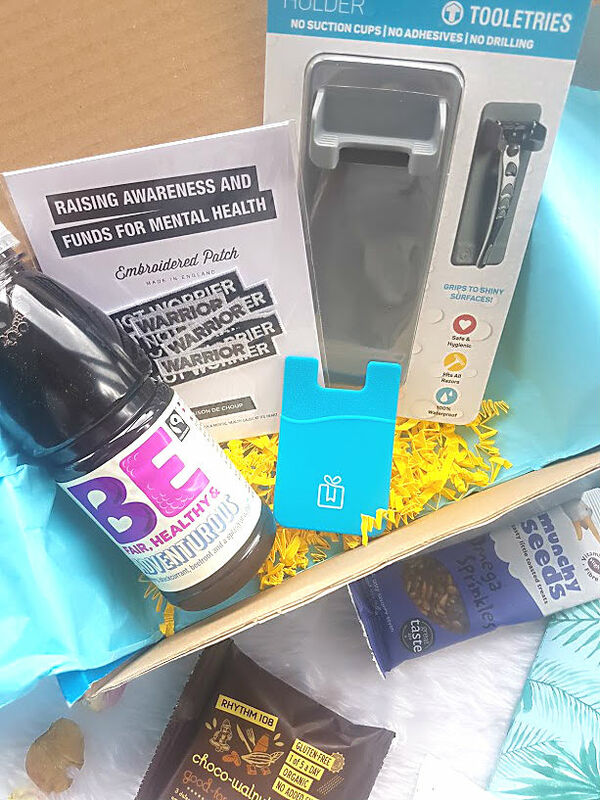 I love that the box contains a mixture of everything, the first thing that I spotted was the BE Adventurous Drink, it is packed full of raspberry, blackcurrant and beetroot to give you a lift and healthy start in the morning. I can confirm, that this tastes amazing - not too sweet and not too sour, just right and also very filling! Walnut Brownie is AMAZING. It tastes just like you are eating a chocolate brownie, but is packed full of healthy ingredients such as walnuts and dates. Who knew, that eating something so healthy and good for you, still tastes nice and like the real thing? I have never been one to try these organic dessert alternatives, but this has got me hooked. We then have a packet of Munchy Seeds, these are a firm favourite at home, the convience of them being a small bag sized ready to eat and the fact that they are packed to the brim of yummy seeds, make them the perfect snack. Also included in the box, is a Warrior patch. This is a small patch that can be sewn onto something, the message behind this brand is all about spreading and expressing positivity. The message is about being a Warrior not Worries, and believing in yourself. This is suitable to everyone, student or not and is so lovely. The razor holder has proved a god send for my new bathroom, the other three girls never have anywhere to put their razors (I am not a shaver) so this is a life saver. 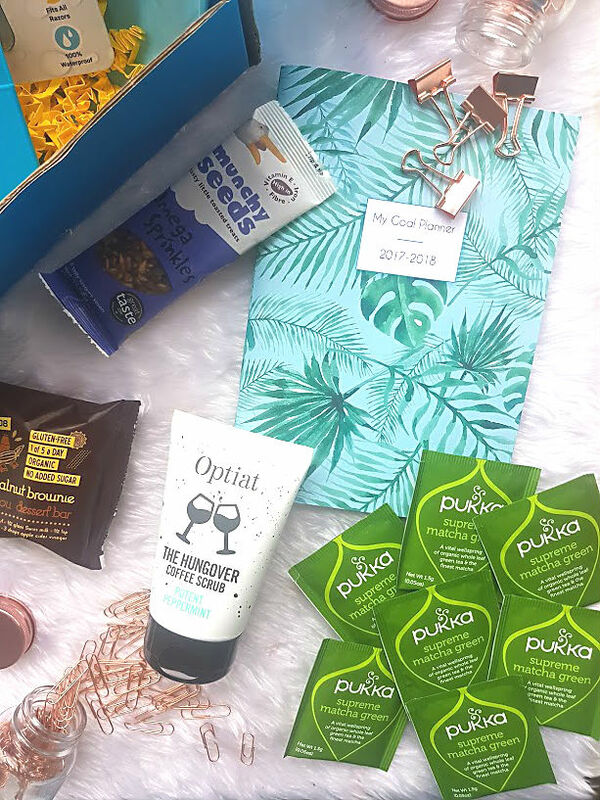 I think coffee scrubs are taking over the beauty world, the Optiat Peppermint one is the best thing to use first thing in the morning to wake you up from the night before. It is a blend of Arabica coffee grounds with peppermint essential oils, the combination of these work as a natural exfoliate, stimulating blood flow and workings against stretch marks and cellulite. I am yet to use this on my face but on my elbows and knees, this has been amazing at removing dead skin. I got so excited to see a full box of Pukka teas!!! These are there supreme matcha green tea, and boy does it taste amazing but very strong. Green tea is a great energy booster as well as a relaxing one to drink before bed. Matcha powder is also a superhero, it is filled with antioxidants to keep your body ready for the winter. The final thing is a box exclusive, one thing to get the new academic kicked off in a style. 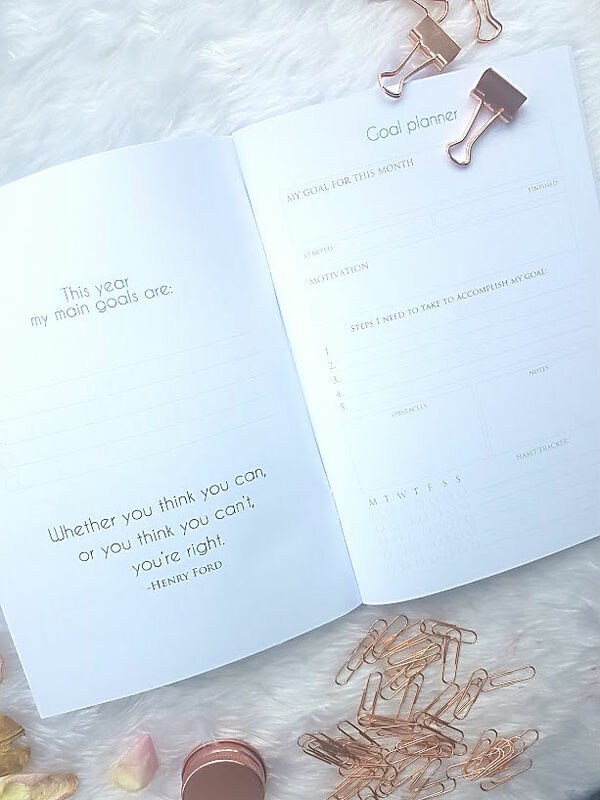 This is a goal planner that will help you stick to new objectives and achieve new goals. It is packed full of quotes, plans to help you achieve the goals and so much more. I love this concept and can't wait to get mine filled up and going. I am in love with this box and think that every student or not could do with a little pick me up like this. 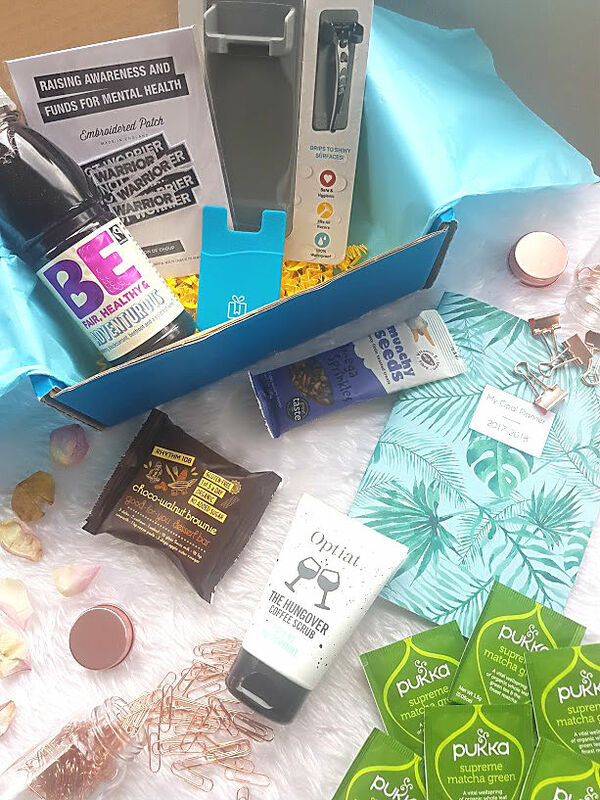 One box is just £21.95, but with my exclusive code BLOG5 you can get £5 off your first order! What more do you want?! The next box due to be released in the middle of the this month, is Hocus Focus themed, think pumpkin spice and cool stationery and you have until 16th October to order.